On Tuesday December 9th, the Town of Sandwich and the Sandwich Public Schools came together to honor their employees for their years of service. Marc Smith, Principal at Forestdale, prepared these remarks to honor Mrs. Delano. When I first entered Terri’s classroom, I knew that I had entered the place of a true master teacher. Terri artfully creates a classroom atmosphere that promotes the celebration of student differences while simultaneously holding all students to a high standard for academic growth, the development of character and the development of a sense of community. Her students know that Mrs. Delano will love and care for them while they are in her classroom. They also know that she believes in them and expects that each student will grow as a student and a person. In addition to her talents inside the classroom, Terri shows us that professional educators work closely with their colleagues in order to best serve the needs of their students. 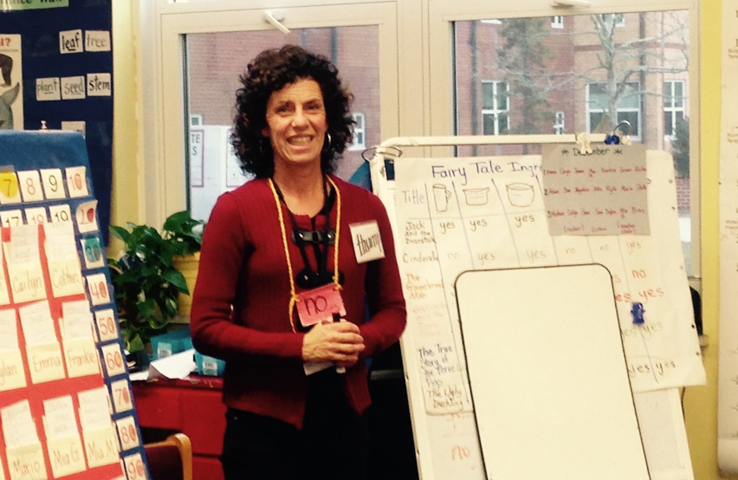 Terri can be seen time and time again seeking advice, sharing ideas and problem-solving with other educators. She is a fierce advocate for the needs of her students. She knows that our students in the most need of help require a strong team of educators to support them. As the classroom teacher, she works tirelessly to ensure the team is working effectively and efficiently in support of the child. Sandwich Public Schools are very fortunate to have had Mrs. Delano serving the students of Sandwich for the past 30 years.